High speed 4G Technology Service provider Bharat Sanchar Nigam Limited (BSNL) in association with M/s Maverick Mobile Solutions Private Limited started Free Mobile recharge contest for BSNL subscribers on promotional offer basis. The company Maverick Mobile services is powered by Triotech solutions partnered with Public Sector Unit BSNL for conducting Skill based and SMS based contest under Value Added service with USSD code. Under this offer every BSNL user across AP and TS can participate and get more chance to win Free mobile recharge worth of Rs.500/- offered through gift voucher. How to win Free Rs.500/- BSNL Mobile Recharge? BSNL Mobile customer can Win BSNL Free Recharge money upto Rs.500/- by participating in Mavrick Mobile Contest by sending SMS to Short codes 59000 and 54000 under Promotional Contest Scheme. As per BSNL website information, Play and Win season 5 SMS based mobile contest is based on the various type of questions. All the questions are made vary easy to that every age of subscriber can participate in the competition and can get the chance to win the prize. Easy questions will encourage the subscriber for the participation in this contest. How to Participate in BSNL Play and Win Contest? Subscriber will receive a promotional message of contest which would include the Question with option of answer. 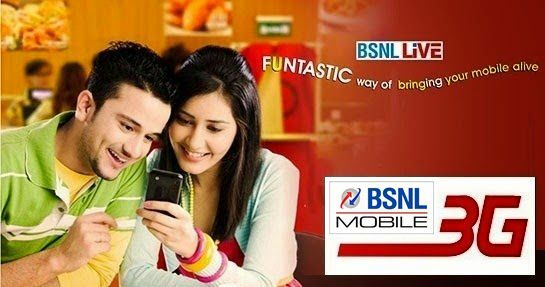 How to send SMS from Mobile to BSNL Short code 59000? BSNL Mobile Subscriber need to send the choice answer to short codes 59000 . Customer will start getting more Questions till the time subscriber does not stop replying the answer. What are the Charges to Participate in BSNL Maverick Mobile and Triotech Contest? How BSNL Contest Winner will be announced? Selection of Winner will be selected based on Top Score on Every 30th Day from the list of the correct answer given by the subscribers and gratification will be given to the winner in the end of the contest. The maximum number of correct answer will increase the chance for the subscriber for getting the prize. The above offer already started and available till 28-01-2019 for a period of 60 days. Dear Reader, If this article Win Money Rs.500 BSNL Free Mobile Recharge with Maverick Mobile Contest using Short code 59000 and 54000 is useful to you then share with others. If you're new to our blog then subscribe to us to encourage us.